Aldi will sell the Medion LifeTab from April 26. The 7.85in tablet has an IPS screen with 1024x768 resolution. It runs the current version of Google’s mobile operating system, Android 4.4 KitKat. Inside it has a 1.6GHz quad-core CPU, 1GB of RAM and 16GB of internal storage. Aldi’s website claims the tablet supports microSDXC memory cards up to 64GB. The tablet features a 5 megapixel rear camera, a 2 megapixel front camera, in-built GPS, Wi-Fi 802.11n and an Infrared Receiver (IR). The IR equips the LifeTab with the potential to be used as a universal remote with home entertainment systems. Aldi’s website claims the tablet will come with 2 years of warranty coverage. Medion’s 7.85-inch LifeTab will go on sale from Aldi stores on April 26 for $199. 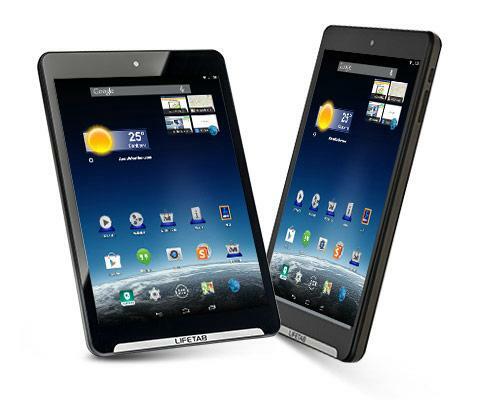 Good Gear Guide has asked Medion and Aldi representatives for more information on the tablet. The article will be updated accordingly.